Courtesy of Schroetlin Real Estate LLC, Jessica Schroetlin. New home just completed! Luxury ranch style home with garden level basement in beautiful new Heron Lakes. Backs to open marsh with lake and foothills view in the distance. 5 bedroom, main level study, 5 baths, 4880 Sq Ft Total, 4236 Finished, 3 car garage with epoxy floor. Control4 home automation system, security, projector with 100 screen and central vacuum. Fully landscaped. Many custom and semi-custom home options available from $850k. Agent related to Builder. Driving directions: From the stop light at Taft and 287, go North about 500 feet. Turn West on to gravel road. This road turns in to pavement. At water tower turn right (North) toward neighborhood. GPS will not work to find property. Please call agent with questions! Please, send me more information on this property: MLS# 838283 – $1,099,000 – 2759 Heron Lakes Pkwy, Berthoud, CO 80513. 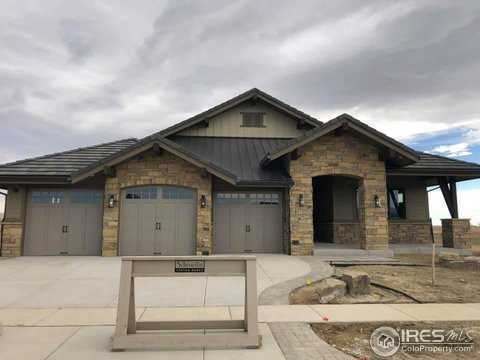 I would like to schedule a showing appointment for this property: MLS# 838283 – $1,099,000 – 2759 Heron Lakes Pkwy, Berthoud, CO 80513.